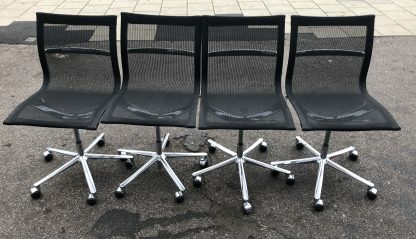 on castors with gas lift. 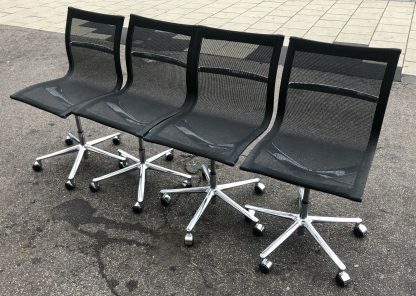 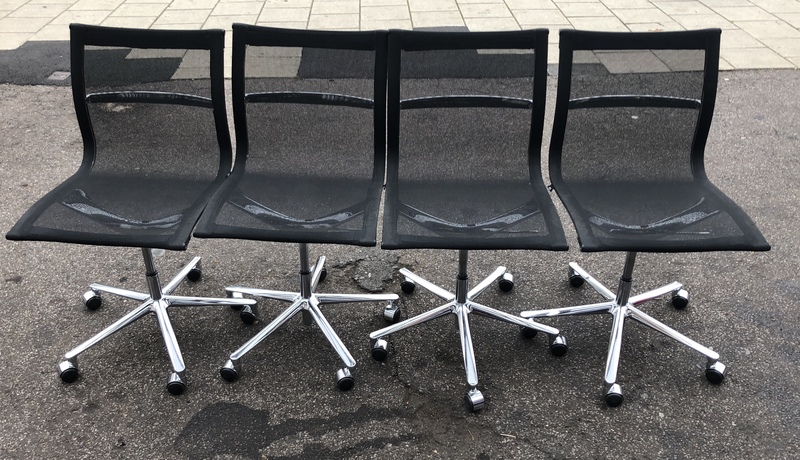 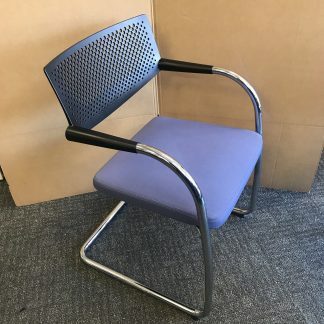 Charles Eames aluminium group chairs before Vitra took control and licensed product. Thanks to its elegant and modern shape, the use of functional materials and a design that achieves a high level of comfort. The ICF Una chair fits perfectly into any working environment, whilst being equally comfortable in the home. 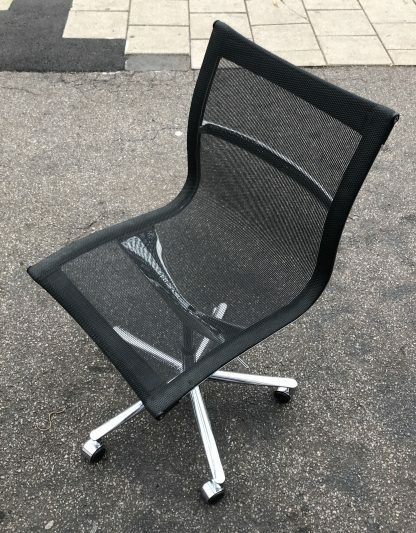 Designed for work purposes or the home, with a more comfortable relaxed attitude to life. 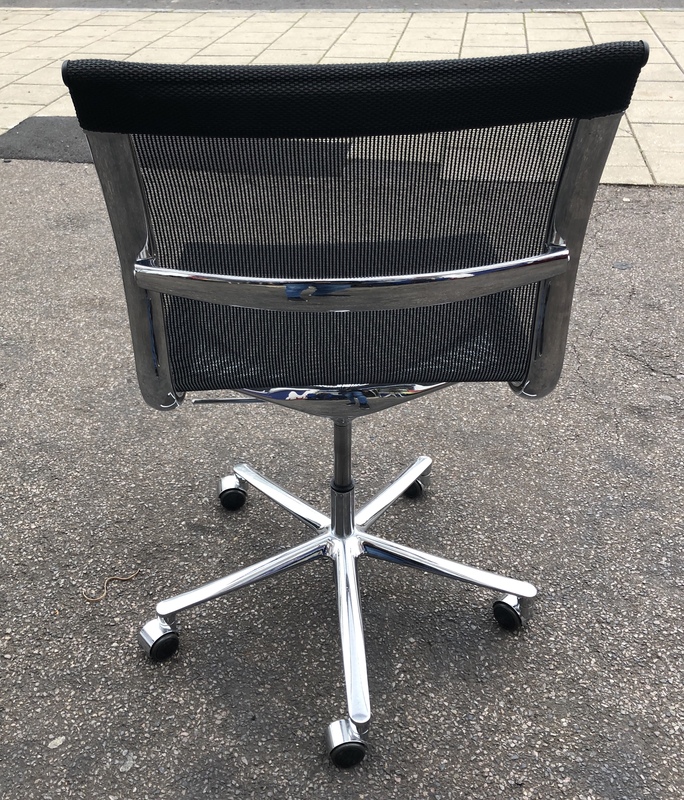 It’s also ideally suited to any setting that does not have the typical office feel. 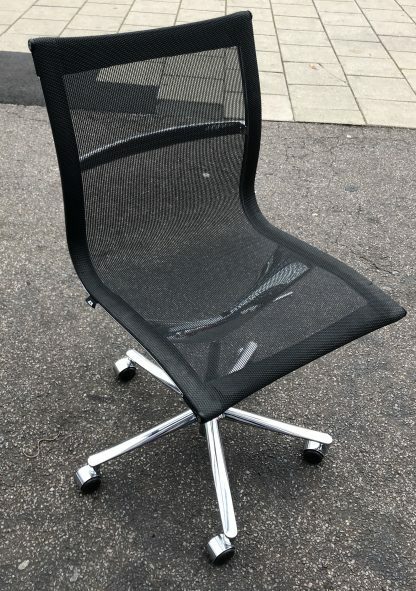 For example, studios, galleries, shops…You can sit comfortably for hours on this chair. 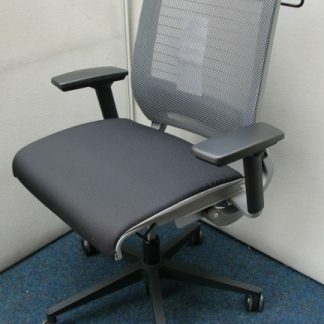 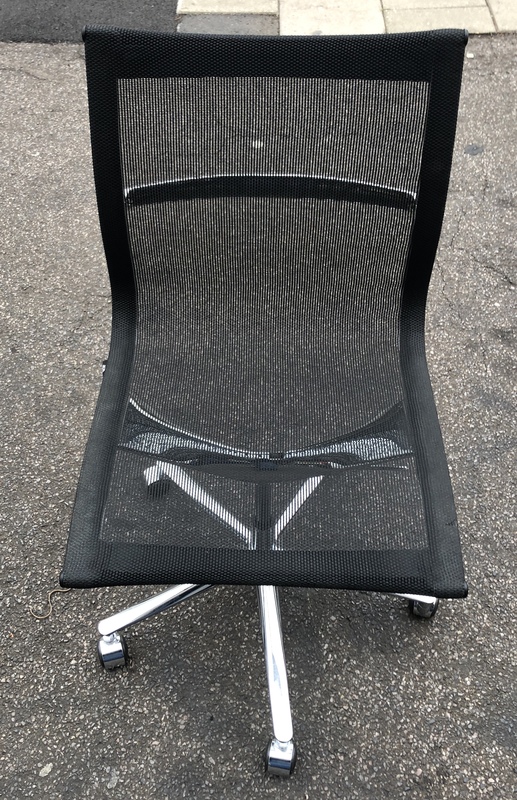 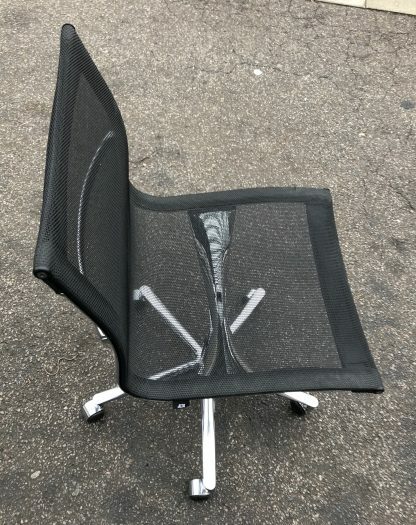 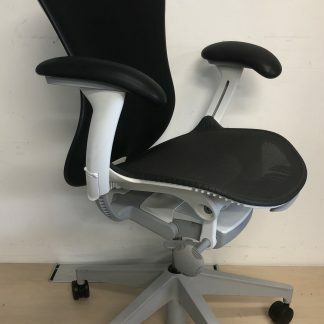 We can despatch this chair nationwide by taking the base off and all you need to do is put the 4 screws back in place.